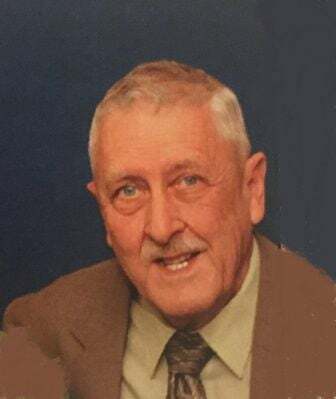 DECATUR -- Ronald Dean Clanton, 84, of Decatur, IL passed away August 10, 2018 at Hickory Point Christian Village. Ronald was born July 28. 1934 in Decatur, IL, the son of Thomas E. and Amanda (Williams) Clanton. On August 15, 1954 he married Kathlyne Huntley in Decatur, IL at First United Methodist Church. Ronald was a retired, 20 year, veteran of the US Air Force. After his service he worked 10 years for York Radio and 10 years for the United States Postal Service as a mail carrier. Ronald was a member of the First United Methodist Church. During his leisure time he was an avid ham radio operator, using the call sign N9KVR. He also enjoyed sports, especially the St. Louis Cardinals. Surviving are his wife, Kathlyne; children, Cinthia Diane Smith (James) of Niantic, IL, Lesa Kay Crane of Alexandria, VA, Brian Lee Clanton of Decatur, IL, Rodney Owen Clanton (Dawn) of Maryland Heights, MO; sister, Phyllis Cotterell of Lexington, KY; sister-in-law, Laura Clanton of Neptune, NJ; grandchildren, AJ Smith (Abby), Griffin Smith (Brandy), Nelson Crane, Nathan Crane; great-grandchildren, Madeleine and Michaela. He was preceded in death by both of his parents, brother, Harold Clanton, and sisters Marilyn McCoy and Patricia Reber. Graveside services will be held 11:00 AM Friday, August 17, 2018 at Camp Butler National Cemetery. A Celebration of Life will follow at First United Methodist Church, Decatur, IL at 1:00 PM. The Moran and Goebel Funeral Home has been entrusted with the care of Ronald. Condolences may be left to his family at www.moranandgoebel.com.